Estimated U.S. shipping time is 1 week. Order problems? Try our shop page or email us. 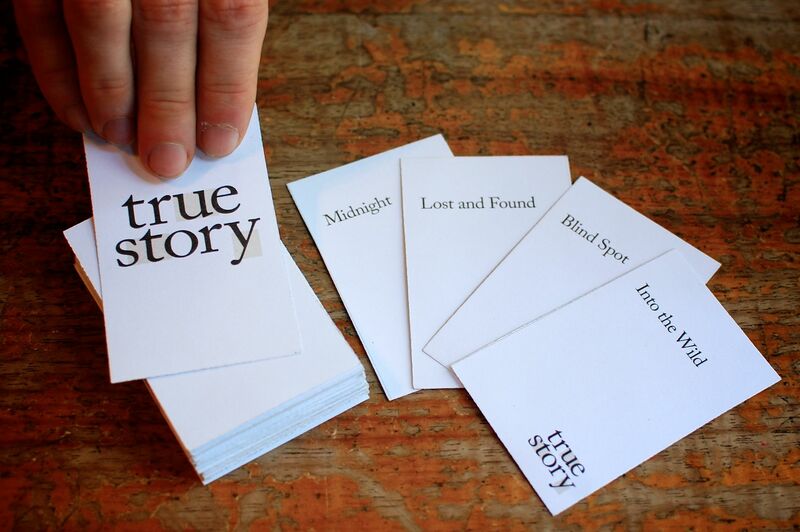 NEWS: The True Story Game is now shipping! Thanks to everyone who participated in our pre-sale! All pre-orders have been shipped. Email us if there's any issue with your delivery. "The better, card game version of Truth or Dare." "This is Cards FOR Humanity." 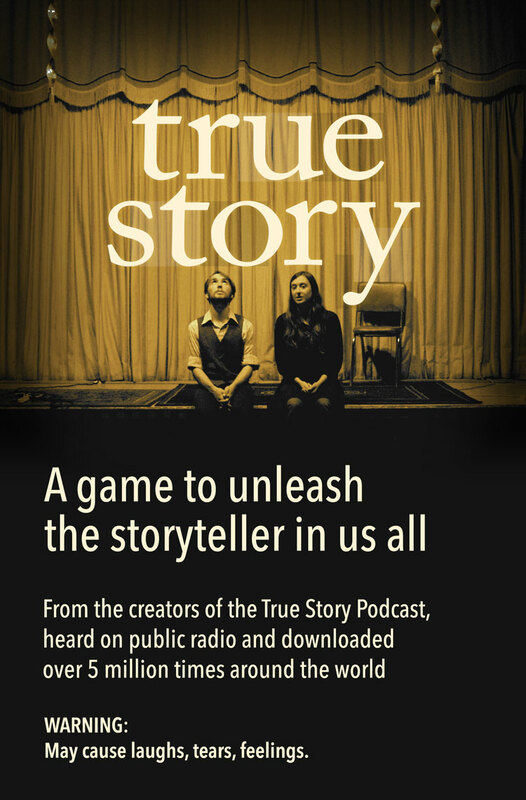 From the creators of the True Story Podcast, comes a portable storytelling game you can play with a group of any size, from two close friends up to a full-on party. Stories start to flow when you play with your weird family, debauched friends, or awkward colleagues. Break the ice and bring any group of people closer together. The True Story game supplies players with memory prompts and introduces basic, intermediate and advanced storytelling techniques, slowly increasing the level of difficulty with every round of stories. It teaches anyone who plays it how to tell better stories — whether you’re a veteran teller or a total novice. Copyright © True Story Company, LLC 2015. All Rights Reserved. TRUE STORY is a trademark of True Story Company, LLC. Footer photo courtesy of Designer Fund.